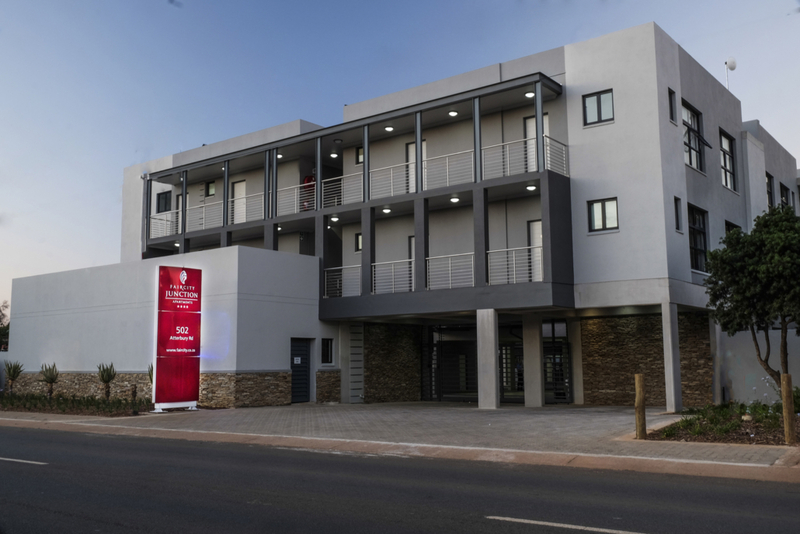 Contemporary and spacious, Faircity Junction is situated close to Menlyn in the leafy and upmarket suburb of Menlo Park, Pretoria, offering 23 fully-serviced apartments that are airy and filled with light, perfectly equipped with modern appliances. Shades of grey are tastefully blended to create a calm and peaceful space, with an exposed brick wall to addd a pop of colour to the living room area. A flat screen LED TV with DStv and Wi-FI comes standard, and the bathroom offers a large shower.